A mother-of-three caused a four-car pile up when she was driving drunk to pick up her children following a heavy vodka session. Lindsay Johnston (34) had already been drinking into the small hours of the morning when the incident happened at 1.25pm, as she turned into a sidestreet in Stenhousemuir. At Falkirk Sheriff Court today, procurator fiscal depute Samantha Brown said there had been a “a bit of a bottleneck” at the time and a car had stopped to let another vehicle through. Johnston did not stop, and collided with the car in front of her, shunting it into the rear of a car in front of that. She then pulled out as if to overtake the two cars she had just damaged, on to the other side of the road and collided. Police were called, and Miss Brown said the officers detected “a smell of alcohol” from Johnston. 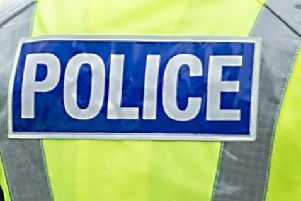 After failing a roadside breathalyser, she was taken to Falkirk Police Station where she gave a breath sample that contained 139 microgrammes of alcohol in 100 millilitres, more than six times the legal limit, which is 22 microgrammes. All four cars were damaged. Johnston, of Hillary Road, Larbert, pled guilty to drink-driving and careless driving on September 22. Defence solicitor Robert Smith said single mother Johnston had been on her way to pick up two of her three children. Summary Sheriff Keith O’Mahony deferred sentence until November 29 for reports, and disqualified Johnston in the interim. An application by the Crown for forfeiture of Johnston’s car, a 13-year-old Renault Scenic Dynamique said to be worth £1500, was continued until the sentencing hearing.